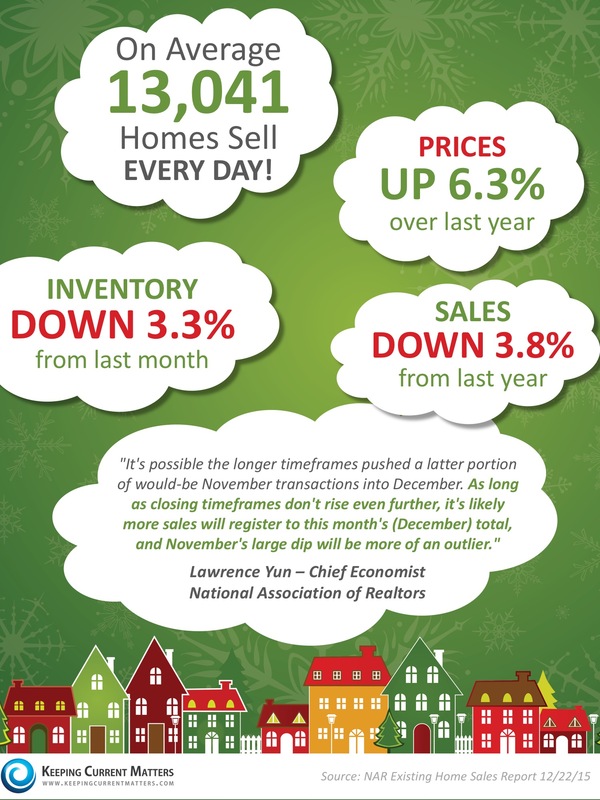 Want to know your homes current value? Text BELTVALUE to 59559! Get your FREE Home Valuation here NOW! “Love It” Or “List It” – Is That On YOUR Mind? Have you seen the show on HGTV called “Love It Or List It“? If you haven’t seen it, the story each week is of a family who is debating whether to renovate their home or whether to move. Sometimes their existing home is really out of date. Sometimes the family has grown & they need more space. So they invite in a designer and a Realtor to discuss their options. They discuss their budget, and analyze their needs & wants. The designer makes & executes a design plan to renovate the home. And the Realtor takes the owners out to look at what their budget would allow them to buy. Once the renovation is complete (and there are ALWAYS problems with the renovation on the show), the owners decide whether to stay in their renovated home (“LOVE IT”) or whether to sell & buy a new home (“LIST IT”). The show itself is of course very dramatic and there are problems after problems. The husband & wife always disagree. The designer always runs into road blocks. And their budget never seems to go as far as they want. And yet, there is ALWAYS a Cinderella ending where the family is uber happy. Despite some of the “only on TV exaggerations”, this scenario is one that many of our clients deal with. They wonder whether they should “right size” their home. Should they renovate & stay, or sell and move into a larger home? Should they adapt their home as they age and stay in it? Or should they sell and down size into something with less maintenance? And The Belt Team can help with that. Not only do we know the market well and can advise you on which changes are saleable, which add value and which changes may negatively impact resale value of your home; we also are in touch with designers, builders, contractors and more who can meet with you to discuss the options. One of the members of our team went through this scenario. We thought you might enjoy a sample before & after picture. She lived in her home in Vienna since the 80’s when it was brand new. After 26 years of family living, it was time to make a change. So – it was time to decide – “love it” or “list it”. She chose to renovate and ended up loving it. 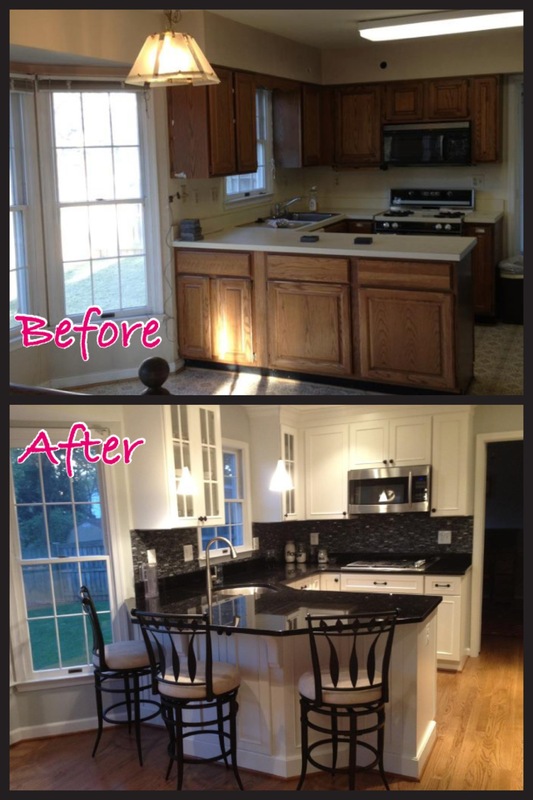 A before & after picture of the kitchen is below. Stay tuned for more pictures and an upcoming post with her “Top 10 Tips To Survive A Renovation”! Call The Belt Team at (703) 242-3975. We can help you decide whether to “love it” or “list it”! The article below came out last week from Keeping Current Matters. We thought it was right on target. It surprises us how often people trust the sale of their largest asset to someone who may not be an expert – just because they are a family member, a neighbor or a friend. They list their home with this person out of obligation. And then they take a BIG leap. While they may be able to trust them in terms of their personal relationship, they often cannot really trust this person’s expertise, negotiating skills & problem solving abilities. 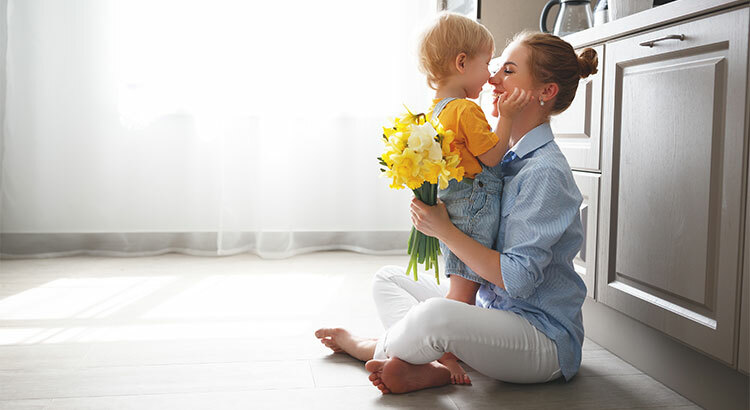 When you’re selling your home, you need it all. Personal trust (integrity, To be able to trust they will have your best interests at heart) AND to trust they have the ability to do the job at a high level. So how do you know if you can trust the sale of your home to someone? Ask questions. Ask for statistics – things like: how many homes they’ve sold (that will tell you whether they have good problem solving skills, relationships & resources for you to use), what their list to sell price ratio is compared to the average (that will tell you about their negotiation skills), and what their average days on market is (that will tell you about their expertise). Spend more time asking questions like these than asking where they advertise and what kind of videos they do. And don’t choose the realtor who just throws out the highest number. The results they get are what you’re after. If they are experts, you won’t need to tell them how to do what they do best. Call people who have sold their home with the team you’re interviewing and find out first hand what it’s like to work with them. You’ll be surprised what you see (or don’t see).Pay special attention to third party sites like Zillow. Realtors cannot control what is posted there (unlike the testimonials you see on their personal web sites.) And when you read the reviews, read between the lines. Are they generic (“she’s great”) or are they specific (she sold our home in 9 days over list price and has the patience of Job”)? Whether you’re selling in Vienna or McLean, Great Falls or Falls Church, Oakton or Oak Hill, Arlington, Ashburn or Annadale – wherever you live – you deserve the BEST real estate team. For a FREE report of “Questions To Ask Your Realtor When Selling Your Home” – email The Belt Team or call (703) 242-3975. We are listed in the Top 20 Best Real Estate Agents in Virginia and are happy to help you make the RIGHT move. An experience with a longtime friend got me thinking about the Northern VA real estate market and how it’s become a jungle out there. “Kill or be killed” as the saying goes. Apparently Tarzan & Jane had been debating over the past few months whether or not to renovate their current home – or whether to buy another home that was already updated. As part of their decision process, they had been stopping in to open houses to see what was out there, what other people had done and how much homes were going for. They weren’t ready to jump in to anything. Just gathering info. But lo & behold, they walked into an open house on Sunday and fell in love. Hence the call to our team. Well, if you have been following our Northern VA real estate blog, you know the market is crazy – with many areas (maybe even most areas) in a Seller’s Market. The home Tarzan & Jane were interested in had gone on the market the previous Friday. So, by the time they contacted us it had been for sale for 3 days. We reached out to the listing agent on their behalf and it turned out they had already received a contract and were close to ratifying it. Unfortunately, Trazan & Jane did not already have a loan approval letter (since they were not “serious” about buying until they saw this home). Jane works for a credit union and could make that happen quickly. But the Seller preferred the “bird in the hand”, did not want to wait and so their dream home home sold to another buyer. Cheetahs don’t closely approach their prey and then slowly go after them. (Like what Tarzan & Jane did.) Instead, they stalk the animal and then charge it from a slight distance – at speeds no other animal can match. They also often hunt in groups. 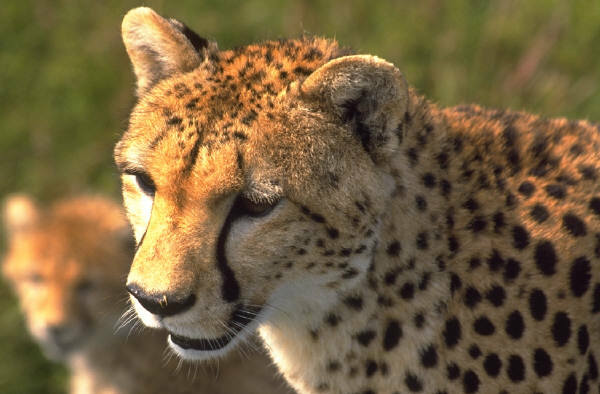 In the Northern VA real estate market, buyers need to act like a cheetah. They need to stalk the market, gather facts from expert hunters in their group (top notch Realtors), and then when they are ready – go in for the kill and do it fast. Realtors with long term partner relationships can make things happen fast. I think folks who are contemplating buying or selling often hesitate to call a Realtor because they don’t want to be pressured, especially if they are not ready to do anything and are just in the fact gathering or mulling over the options stage. While this might happen if you speak with a Realtor who does not do much business, it’s not the case if you talk to a trusted Realtor with years & years of happy clients. Our reputations have been too hard won to risk losing by pressuring a client into buying or selling when they are not ready. People also tell us “we don’t want to bother you until we know what we want to do”. But, really, it’s not a bother. We want to make sure you make the best decision you can and one that is right for YOU. Talking to us can provide clarity and additional things to think about that you had not previously considered. And it’s our pleasure to provide that service. The lion is known as the “King of the Jungle”. They protect themselves with their roar, their large mouths and their claws. This jungle animal also travels with other lions (in prides). 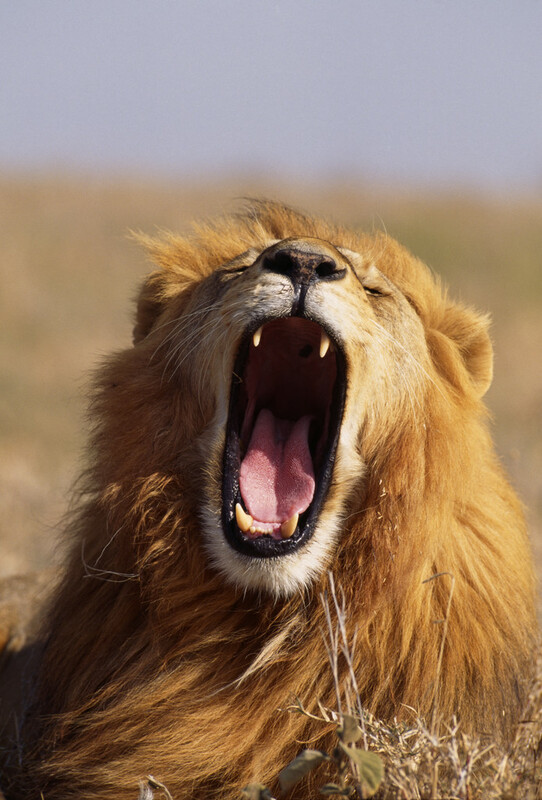 In the Northern VA real estate market, you need to protect yourself like a lion. And a top notch real estate expert can help arm you with the claws you need – with counsel on loan approval, inspections, pricing, staging & more. 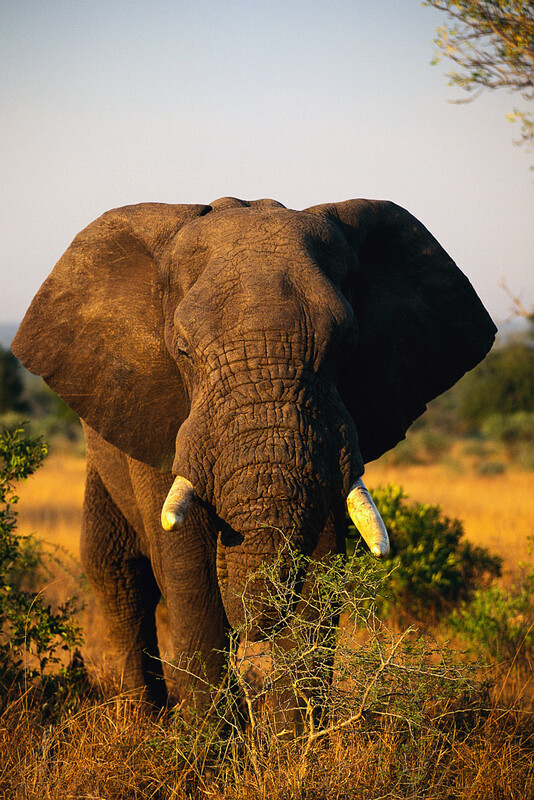 Elephants are known for eating massive amounts of food (some say African elephants eat 600 pounds in a day!). We’re not recommending chowing down at your local “all you can eat” buffet; but if you’re contemplating buying or selling a home – you need to consume information the way an elephant eats. Now, you can do this yourself or you can do it with the help of a professional. In the African elephant’s case, he eats like this every day, day after day. He’s an “expert eater” so to speak. On the other hand, if you took that African elephant and put him in Antarctica every 5-7 years and watched whether he was good at gathering food, we’d guess probably not as good as the penguins. The same thing goes for real estate. You need to eat real estate info the way an elephant eats – market statistics, interest rates, renovation costs, buying conditions, legal implications, resale issues, tax considerations, etc. And since you probably don’t do real estate on a daily basis year after year, it’s kind of like the elephant in Antarctica. He’d find a lot more food if he consulted the local eating professional (the penguin). And so will you by consulting the best Realtors in Vienna, Oakton, McLean or wherever you are looking to buy or sell. For more tips on how to survive the Northern VA Real Estate Jungle, contact The Belt Team or call (703) 242-3975. What’s most important in the infographic is the quote from Lawrence Yun. You see, sales in November 2015 were down from sales in November 2014. In our opinion, the real reason for this is TRID. TRID (Truth-In-Lending RESPA Integrated Documentation – or as some Realtors call it, “The Reason I Drink”) is a new government regulation that affects people who are buying and selling homes. We won’t go into all the details (and there are a LOT of them), but the bottom line is that TRID is causing increased costs and delays in settlement. We expect that when numbers come out for December, that many of the expected November closings will show up. That said – TRID is just another reason why it’s SO important for consumers to be represented by Realtors who do this every day and can help their clients navigate what often feel like shark infested waters. Part of what we do is manage all the details of the buying & selling process. We make sure deadlines are met, you are protected, and that you get where you want to go when you want to be there. We have heard all kinds of horror stories about delayed closings – Buyers with their household belongings on trucks for days, staying in a hotel because their settlement was pushed back due to a TRID delay. Others where their mortgage loan lock-in expired, only to have to pay hundred or thousands of dollars to extend the rate. Sellers who pack up and move out – but can’t get their money when they need it because the Buyer was held up by TRID. Schedule an appointment with The Belt Team by calling (703) 242-3975. The Belt Team is one of the Top 20 Best Real Estate Agents in the State of Virginia (as named by Real Trends) and one of Washingtonian Magazines Best Realtors in 2015. Our mission statement is “Changing Lives For The Better”. If it’s time to change YOURS, call us at (703) 242-3975 TODAY. It’s our pleasure to help you make the RIGHT move. 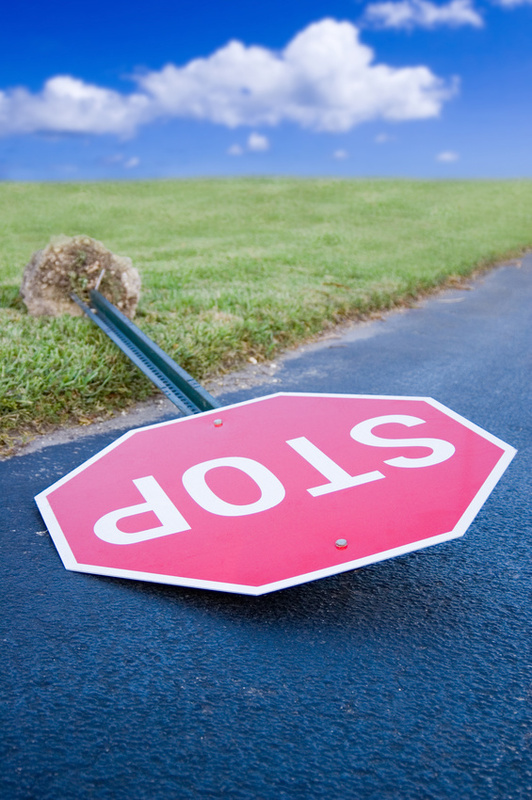 Home Sellers – Don’t Be An April Fool. You Deserve Einstein! April 1st is approaching, and that means April Fool’s Day! Don’t list your home with the agent who gives you the highest price recommendation. That seems backward, doesn’t it. Because of course you want to sell for the most amount of money possible. Right?! Many agents will overprice a home in order to get the listing… and then ask for a price change down the line. But does it really matter? Can’t you just try out a higher price & then lower it if it doesn’t work? You can. But not if you want to net the highest price possible. Statistics prove that the longer a home is on the market, the lower the price it will sell for. Overpricing a home is the worst mistake you can make! First, select your real estate agent based on his/her credentials. Then, with your agent’s input and a comparative market analysis, decide on price, and price it right from the start. Never let an agent “buy” your listing. It’s tempting to “tell you what you want to hear”, but integrity and a professional price opinion are in your best interests. No one has a crystal ball & pricing can validly have some variability, but pricing realistically from the start is one of the strongest tools you have in winning the “Sales Game”! 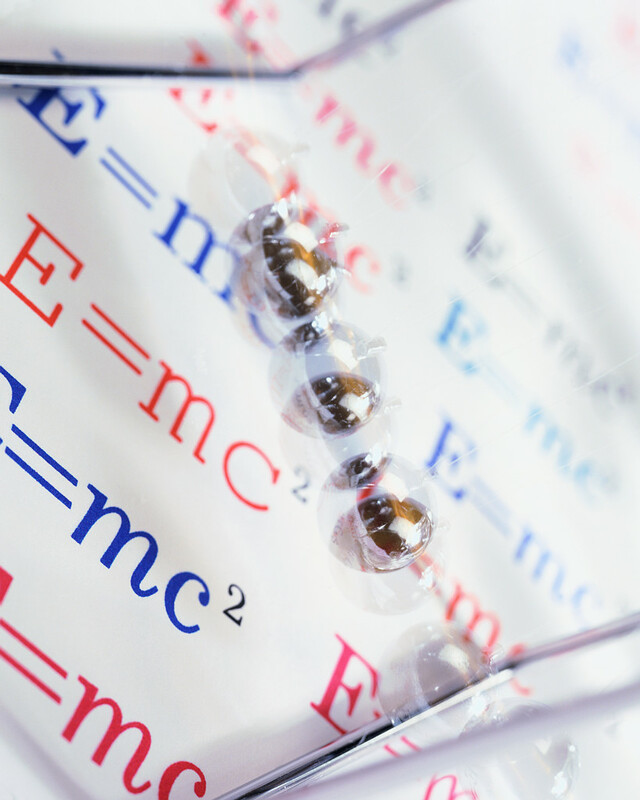 The other reason you don’t want to select your agent solely based on the price he/she recommends is that you want to ensure you have an agent who gets results, who negotiates like a Ninja and who solves problems like Einstein. Marketing your home & getting a contract are only half the battle. Negotiating, getting it ratified and getting successfully to closing are the other half. In today’s markets, lots of contracts are falling apart. And what we are observing is that the agents with the most talent, skill & experience have the highest success rates. Oftentimes, the agent recommending the higher price is doing so because that’s the easy way out. They don’t have the skills to compete with other agents except for on price (whether that is list price or commission.) Sometimes it’s because they don’t do a lot of business and just don’t know the market well. But in either case, that doesn’t bode well for you as a Seller. This person will be representing you and is most likely NOT going to get you the results you want. You don’t just need a good marketer or a good sales person or someone you “click with”. You need the person who will get you the highest price for your most valuable financial asset and who will do it in the least amount of time with the least inconvenience, because that’s in your & your family’s best interests! Appraisal Came In Low! Now What? Northern Virginia housing prices may be rising, but appraised values often lag. Whether you’re selling a home or buying a home, this can be a problem. It’s not uncommon for a home to sell quickly, sell with multiple competing offers and net a sales price ABOVE list price – only for things to come to a halt because the appraisal comes in low. One strategy that’s used to battle a low appraisal is to find additional comps the appraiser can use. Oftentimes – that means finding homes that may be under contract, but not yet settled. These homes are likely to have higher sales prices than comps that closed months ago – especially as we head into the hot spring market. In the past, Realtors were reluctant to release information to appraisers about sales prices until the home had actually settled. But new language in the Northern VA sales contract means this process may become much more common. 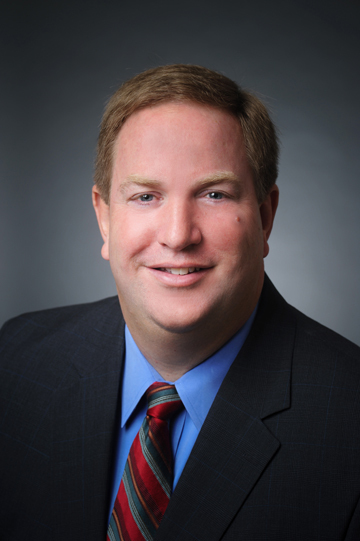 January 1 changes added a new paragraph called “Disclosure of Sales Price to Appraiser”. 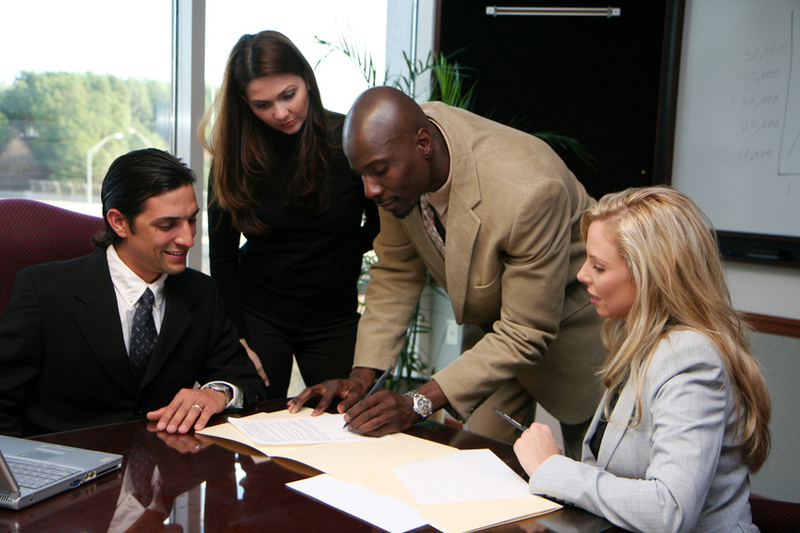 The contract now gives authority to brokers to release the sales price of the contract to any appraiser who contacts them to obtain the information. Although the contract has changed, changes in actual practice often happen slowly because many Realtors are part-time and/or sell very few homes. This means they are not always intimately familiar with the contract and the form changes that happen every six months. This is just another example of why it’s SO important for buyers and sellers to choose Realtors from among the top 10%. 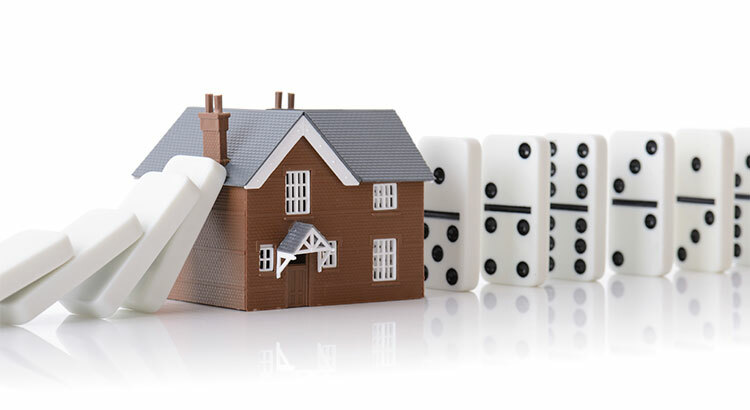 The more homes they sell, the better they are at protecting you and avoiding/solving problems such as low appraisals. Search Northern VA homes for sale on our state-of-the-art website. The Belt Team’s mission is “Changing Lives For The Better” – if it’s time to change YOURS, contact us at (703) 242-3975. 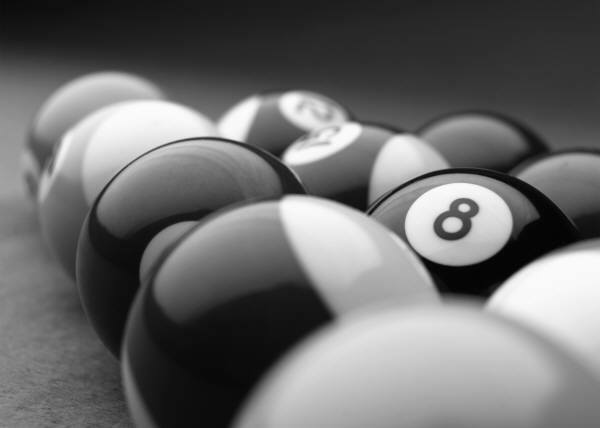 Home Buyers & Home Sellers – make sure you are not caught unaware & put behind the 8 ball! Let’s take the Home Inspection Addendum for example. Under the new form, Buyers (and their agents) need to be especially aware that if the end of the negotiation period comes, and the Seller has not responded to the Buyer’s request to repair or replace items found on the home inspection, the contract does NOT become void (as it does under the 2013 contract). Instead, the Purchaser has the option to void – and if the appropriate Notice to void is not delivered or delivered on time, the contingency is automatically removed & the contract remains in full force & effect. The Belt Team’s Mission Statement is “Changing Lives For The Better”. Is it time to change YOURS? Call (703) 242-3975 or email The Belt Team today!